Did some sod busting this morning by digging up potatoes. Scratched around and below the plants for a few with my hand to see if I could find some. Bout the time a couple of nice ones were dug up something sharp went into and under the fingernail, right middle finger. It was enough to make one want to say NO MAS but there is too much sweat labor invested in the potato patch to give it up. I decided then and there I was going high tech and used the shovel. Managed to dig up about half bushel of red potatoes out of that little space. Took them in the kitchen and the Mrs. asked what I was going to do with all those potatoes. Have been told not to wash the potato until you are ready to cook it. One thing for sure, next years potato patch will not be planted as deep. The briar patch is narrowing down with the blackberries. The birds have sure seemed to enjoy them. After the next picking, the patch will be trimmed and manicured for next years growth. By doing so, this will allow next years crop to produce more berries, up a bit higher rather than near the ground. Of course the upper briar branches are tied to a wire to grow up rather than over. Thinking of planting purple hull peas next, when a bit more room becomes available in the little garden. As has been said before in Two Cents Worth, its amazing what you can do with dirt. A little caveat to you pea/bean eaters – legume (big word that means opens along the seam, i.e., split in two) has been proven on yours truly that they will kick in the gout with its high purine content no doubt! Grew up on peas and cornbread, guess one evidently needs to limit the serving of the other good stuff, eh? Can ask the twins this day if they know what a bowl of special is, and they will tell you. Tis peas, cornbread, diced tomato, diced onion and a glass of tea. Taught the boys to eat hot peppers with that dish. Take itty bitty bites of pepper, not too much cause itll burn. Always eat a pinch of pepper with food in your mouth, other wise its too hot. They have since discovered the day after hot too. Was reading a daily newspaper a few days ago and came across a column entitled, Do we feed our pets better than we feed our kids? After seeing the column I decided that was a good question. The writer was talking mainly about the recent pet food contamination that impacted many pet food manufacturers and thousands upon thousands of pets. When we first heard of the problem we jumped at the bag containing food for our Old English Sheep-dog, Maggie, and established it was not one of the contaminated numbered bags. The writer of the column was not saying we are feeding contaminated food to our children and have less concern about that than what we feed our petsat least she wasnt saying that directly. Her point is we are mostly on a hustle-bustle weekday schedule that sometimes sees us throwing food at our kids in the manner requiring the least amount of time. What does that mean? It means fast food, either at home or at the first quick-service restaurant we come to on the way home and pick up burgers, fries, pizza, etc. that is anything but a healthy diet. While it is not contaminated as the pet food was, it is certainly not a healthy, well-balanced meal and in the long run causes as much of a problem with our kids health as some dogs had with the pet food. Our kids are not dying immediately from this food but over the long haul it leads to diet deficiencies, obesity, etc. that can and does lead to an early death. The Springer kids have long been on their own so we dont dictate the kinds of food that they partake. As I look back over the years and consider how we handled them I would say we are not guilty as charged, by the writer. Mother Linda is a trained dietitian, formerly worked in a couple of hospitals, and practiced what she preached at home as well as at work. Over the years she preached, and provided a healthy diet and prepared the necessary fruits, meats, vegetables, etc. that our kids needed daily. It was a rare exception when we headed for the burger or pasta places for our snacks. Our kids, now in their forties, all seem to be healthy, are used to eating balanced diets, and continue along this path as adults. At least that is my view as I observe them. However, there is still a message there for all of us to mind our diets. The Leadership North Houston organization held their annual graduation ceremony and awards banquet last Thursday evening, and honored several area business leaders. The Distinguished Community Leader award was presented to Jerry Lowry, of the Greater Greenspoint District, by LNH president Bill Ginder. The John Pickelman Leadership North Houston Fellow award was presented to John Zizelmann, of Mattco Manufacturing, by last years recipient, Ray Laughter. The banquet was also the graduation for the 12th class of participants in this leadership training program, sponsored by North Harris Montgomery Community College District, seven local chambers of commerce, and the North Houston Association. Other nominees for the Distinguished Community Leader award included Carole Little, Connie Maxfield, Brenda Kirk, Ralph Wheeler, and Jennifer Pittman. Leadership North Houston is a multi-community based program committed to educating and enhancing the involvement of existing and emerging leaders of North Houston. Lowry was cited not only for his position as VP-COO of GGD, but also as past president of the North Houston Greenspoint Chamber, Greenspoint Community Partners, involvement in many diverse community organizations, and a leader in improving public safety in the area. 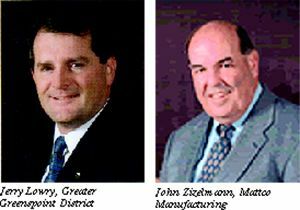 Zizelmann was cited for his outstanding contributions to community organizations and activities beyond his business interests. At press time, an announcement from HISD superintendent Abe Saavedra indicated that Sam Houston High, Kashmere, and McReynolds had achieved enough academic improvement since last year to warrant remaining open in the 2007-08 school year. Sam Houston reportedly had a 5 percent improvement in their passing rate. Saavedra said his decision will not change, no matter how the state TEA ranks the schools later this summer. Crowded stadiums and arenas and long lines of cars may be as much the tradition of graduation as the commencement ceremony itself, but a new trend in schools is making it easier for friends and family to observe the ceremonies from the comfort of their own homes. Aldine ISD began the system a couple of years ago to help people be part of the service without traveling to the M.O. Campbell Center in person. Weve gotten nothing bust positive feedback since we started this, district spokesperson Mike Keeney said. Keeney said that in the past the services could be viewed by grandparents in South America and by a soldier in Iraq. The technology involved is not that different from what has become popular at homes. Through the use of a webcam and a few yards of video cable, school districts cast broadcast a live streaming video of the services either on broadband systems or as dial-up. This year alone, the district held Grad-Casts for Nimitz, Eisenhower, Aldine, Carver, MacArthur and Hall High Schools as well as some kindergarten graduations. Since the Campbell Center is already set for the Grad-Cast district ho use the facility for their own ceremony can take advantage of Aldines technology. One such district is Huffman ISD. Huffman, which used the center on Sunday afternoon, said that this will be the first year they were able to broadcast commencement online. Dr. James Simpson, the North Forest ISD superintendent who was fired in March is scheduled to be back on the job after a TEA ruling last week. Last week Jeff Horner, an attorney and independent examiner working on behalf of the Texas Education Agency ordered the North Forest Board of Trustees to reinstate Simpson. 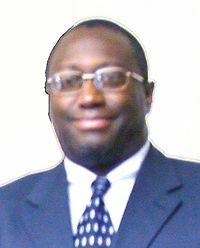 The North Forest ISD was ordered to return Simpson to his former post as well as pay his $35,000 in back salary. Simpson has maintained that he was fired in retaliation for investigating allegations of illegal or improper activity against district police officer Gerald Eagleton. At the time of the firing, North Forest ISD was also under an investigation by the TEA. The school district, TEA said, had failed to account for some funds provided by the Federal Emergency Management Agency for repairs following Tropical Storm Alison. The funds were discovered missing prior to Simpson coming to North Forest. Had our first tomato samiches of the year this weekend, Twas good too. Read with interest about Queen Elizabeth II visiting President Bush in Washington and having dinner. It was one of those hoity toity events where you would never find my presence. Not high on the social scale and the menu was not one to my choosing should she come to the little house on Goose Creek. The menu included: Spring pea soup with fernleaf lavender. Bet she hasnt been served pot liquor with cornbread. Chive pizzelle with American caviar; yuck! Id do some chicken livers with a sliver of jalapeno and wrapped in bacon with Kraft BBQ sauce. Some would say yuck to that. A bottle of Chardonnay Unfiltered 2004; thats wine for those of you who dont take a snort. Dover sole almodine. Wonder if she has ever had crappie filets (fried)? Roasted artichokes, pequillo peppers and olives. Thats something Id try just to see how tis. Saddle of spring lamb Chanterelle sauce. Dont like lamb or anything to do with it. Nasty stuff indeed. Fricassee of baby vegetables which is a fancy name for cutting something in pieces and stewing it in gravy. Peter Michael Les Pavots 2003, thats a $200 bottle of wine which the President didnt touch. Argula, Savanna mustard & mint romaine. Had to Google that and its a lettuce type product that in Roman times was considered an aphrodisiac. Champagne dressing, trio of farmhouse cheeses; wonder who cut the cheese? Rose Blossoms; wonder if you are supposed to eat them or look at them? Schrambert Trute Rose 2004; Ahh another snort before heading back to the house. The dinner was a white tie event with guests seated at 13 tables. Im sure they all enjoyed the dinner and wondered what was for desert as none was mentioned on the menu; maybe it was that last sip of wine. Somebody once told me, you take the boy out of the country but you cant take the country out of him. By the time you read this, Spider-Man 3 will have made so much money, it would be enough for Angelina Jolie to adopt three-fourths of Africa. Which means, even though I say this movie is sloppily written, woodenly acted and a colossal waste of time, it wont matter. If you wanted to see the movie, you already have; and if you have no intentions of seeing the movie, well … you wouldnt be reading a review of it, right? So, how do I review a critic-proof film? Same as I always do: By callin em as I sees em. Theres a scene near the beginning of the picture where escaped convict Flint Marko (Thomas Haden Church) transforms in to the shape-shifting villain, Sandman. At first all we see is a pile of sand. And slowly, painfully it wills itself into becoming a man. It is one of the most poetic and beautiful scenes Ive witnessed in the past year, and a great piece of acting. Problem is, it was entirely computer-generated. The best acting in the movie was manufactured by a team of computer nerds  not performed by an actor. What does that tell you about the movie? 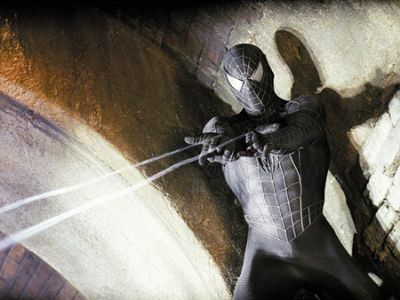 None of the lead actors in Spider-Man 3 give noteworthy performances. In fact, some of them  Kirsten Dunst in particular  are just painfully annoying to watch. Tobey Maguire (Peter Parker/Spider-Man) isnt much better. When he isnt doing that googly-eye Froggy Face expression, hes crying like a whipped Girl Scout. When his character becomes possessed by the Alien Black Suit, hes supposed to become a Bad Boy. For Toby, that means wearing too much mascara and combing his hair down. 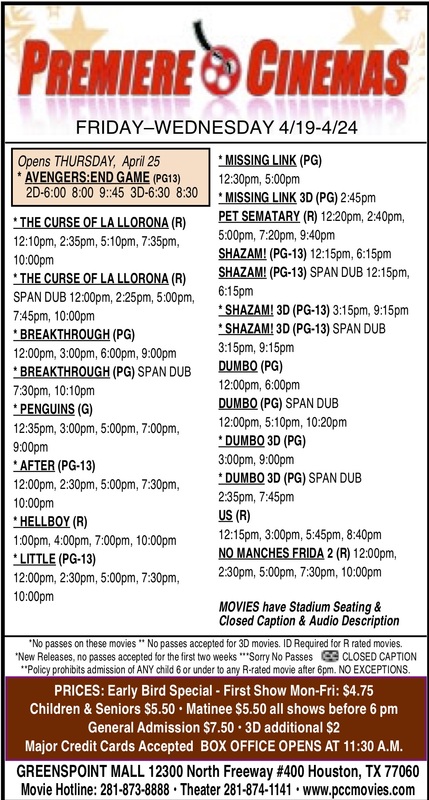 Im paying 10 bucks to see Spider-Man, not Emo Boy, for cryin out loud. The script is also a mess. Its like director/co-writer Sam Raimi didnt know whether he was making a comic book movie or a B-grade chick flick. The film jerks back and forth between mostly-computer-generated action sequences and overwrought, teary-eyed soap opera-esque melodrama. Everyone in the movie cries at some point. And whats worse is that the soap opera stuff is two-thirds of the movie. And the less said about the musical and dancing sequences (and there are quite a few) the better. I honestly cant recommend Spider-Man 3. If you MUST see it (and you havent already), wait for it to hit the dollar movies or rent the DVD. For a film that cost Sony a reported $500 million to release, we should expect a lotta bang for our buck. Spider-Man 3 just fizzles. On March 26, at 8 a.m. members of the Aldine Senior High will celebrate the completion of their grade-school career with Commencement. The ceremony will be held at the M.O. Campbell Center on Aldine Westfield Road. Gina Rosalie Roberts is this years valedictorian. Salutatorian is Melinda Soeung. Rounding out the Top 10 are Michelle Crystal Hurtado , Felipe DeJesus Corral, Abel Barrera, Annette Leija, Cindy Carolina Bonilla , Amanda Renee Maglitto, Denisse Ramirez and Maria Hilda Jaimes. Students from MacArthur High School will gather at the Campbell Center on May 28 at 5 p.m. for their Commencement. 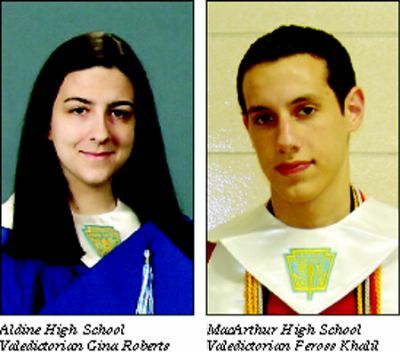 Feross Khalil and Priscilla Cavazos are MacArthurs valedictorian and salutatorian, respectively. Also making the Top 10 are Milton Morales, Maegan Ramos, Renee Cohn, Michael Burciaga, Jessica Guerrero, Lizbeth Gonzalez, Jose Cornejo and Monica Tapia. Students making up the Top 10 of the Class of 2007 from Forest Brook High and M.B. Smiley High were celebrated at a banquet on May 14, at the DoubleTree Hotel on JFK Boulevard. On May 16, Forest Brook held Commencement at Texas Southern Universitys Health Science Building. Christopher Viramontes earned the honor of being named valedictorian of Forest Brook Highs class of 2007. Forest Brooks salutatorian is Shaniqua Johnson. 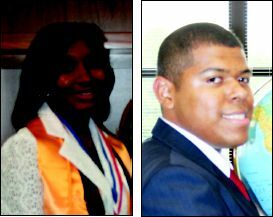 Richard Bailey, Lance Calloway, Lawrn Calloway, Kiara Fontenot, Brittany Forster, Teanna Harris, Jacci Law and Anthony Wiltz round out Forest Brooks top ten for 2007. JerLisa Miles and Danielle Lewis are M.B. Smileys valedictorian and salutatorian, respectively. The Class of 2007 was recognized during Commencement on May 17 at the TSUs Physical Education Arena. Victor Holcomb, Tiffany Joe, Amber Jones, Claudia Turcios, Devon Wade, Leigh William, Tonya Williams and LaSundra Witchet also make up M.B. Smileys 2007 top ten. The Houston Northwest Chamber of Commerce, The North Houston-Greenspoint Chamber of Commerce, and The Humble Area Chamber of Commerce are excited to announce the 25th Anniversary IAH Bush Intercontinental Airport Festival on Saturday, June 16th at the Continental Airlines Hangar, from 12 noon until 4 PM. In addition, our annual scholarship award luncheon will be held at Wyndham Greenspoint on Thursday, June 14th. Last year 12 deserving scholars were awarded $1500 college scholarships! This year we are also pleased to fund our 6th annual scholarship in memory of news reporter, Barbara Olson, who died in the 9/11 attack on the Pentagon. The IAH Bush Intercontinental Airport Festival will be held on Saturday, June 16, 2007, noon-4:00 p.m. at the Continental Airlines 777 Hangar, Building E at 4849 Wright Road. This family-centered event is a fun and educational way to spend a Saturday afternoon. Admission is $10 for adults in advance, $15 at the gate and children 3-12 years is $5. The ticket price includes food tickets good at the food and beverage booths. This years festival theme is IAH-Houstons Silver Lining. Popular attractions include static displays of F-16s, a C-130, the Fed-Ex Wide-body, the Hurricane Hunter, helicopters and antique airplanes from the Lone Star Flight Museum. Pilots will be on hand and families can climb inside to see the inner workings of these aviation marvels. Children will enjoy games sponsored by Texas Childrens Hospital, Search and Rescue dogs, the mounted Airport Rangers and lots of prizes. The Art Cars, EMS vehicles, food and beverage vendors and musical entertainment will also be on hand. Sponsoring corporations and local organizations will showcase their organizations in the Expo Area. Each hour there will be drawings for prizes, including trips donated by airlines to destinations around the world. Corporate sponsors for this years event include Continental Airlines, the North Harris Montgomery Community College District, Aramco, Centerpoint Energy, HNTB Engineers, Texas Childrens Hospital, and All Right Parking. Countless organizations and volunteers will also be supporting this years event. For more information or to order event tickets, contact the Chamber nearest you: Houston Northwest Chamber of Commerce at 281-440-4160; the Humble Area Chamber of Commerce at 281-445-2128 or the North Houston Greenspoint Chamber of Commerce at 281-442-8701. Tickets are also available at these Continental Federal Credit Union locations: inside IAH at gate C-45, downtown at 500 Jefferson, Suite 250 and at the Continental Reservation Center, 900 Grand Plaza Drive at Beltway 8 and Ella (use the Veterans Memorial exit). It should be noted that this is a rain or shine event.